Thomas Lippert, director of the Jülich Supercomputing Center in Germany, is speaking at this year’s International Supercomputing Conference in Hamburg about his experiences with the exotic systems that lead the TOP500 list of the HPC community’s preeminent supercomputers, and the scientific breakthroughs that they enable. He is in a position to speak with some authority on the subject: JUGENE, Jülich’s 223 teraflops Blue Gene/P debuted at number two on the November 2007 TOP500 list, and a year later was still at number 11. With JUGENE’s recent upgrade to a peak petaflop, the center will claim a top 5 spot on the list. And Jülich has also been hard at work on a new 300 teraflops system that they expect to debut in the top 10. We caught up with Dr. Lippert by email before the conference to get a sneak peak at his thoughts on working at the extremes of computation. HPCwire: You are speaking during a panel session called “Hype & Reality: Experiences with the Leading Systems from the TOP500 List.” This is a provocative name for a session! Can you tell us what the reality has been for you with JUGENE as a center operator? Thomas Lippert: When the Jülich Supercomputing Center started offering a 6 teraflops Blue Gene/L in 2005, there was no “hype” at all. The simple “reality” was that no available supercomputer technology could scale far beyond 1,000 processors for most of the challenging application codes. Before, we had organized a workshop inviting Blue Gene friends as well as antagonists from several scientific disciplines with the need for large-scale simulations. Many of the antagonists turned from Saul to Paul and became convinced that it might be very worthwhile to complement our IBM p690 systems by this type of highly-scalable machine. Since then we have continuously stepped the performance up, going to a 46 teraflops Blue Gene/L at the beginning of 2006, a 223 teraflops Blue Gene/P at the end of 2007, and now our petaflops system, JUGENE. In this process, it was most important that we could keep our users with us. Together, we certainly have contributed to shape reality and to create hype for petaflops. Of course, we had to learn together with our friends from IBM how to install and operate the Blue Gene systems, as is always the case with novel innovative technology. The installations for the upgrades went smooth and fast, and the Blue Gene systems have always been extremely reliable. During the installation of the first 16-rack Blue Gene/P worldwide some buggy processors kept us busy for about two months, but the current petaflops system was installed and benchmarked within only one month and it has been running stable since then. After the tuning of our 6-petabyte GPFS, we expect production will start at the beginning of July. However, JUGENE required a considerable time for preparation as we changed our infrastructure from air to water cooling. With water cooling we can benefit fully from the exceptional energy efficiency of JUGENE. 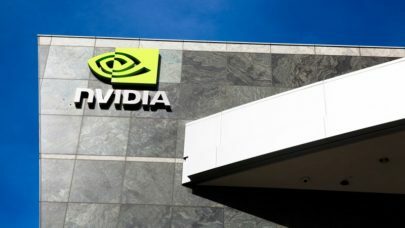 Actually Jülich is following a dual strategy: at the time we installed the petaflops system, we also built a 300 teraflops cluster system, consisting of JuRoPA and HPC-FF — the latter for the fusion community – with 24,000 cores altogether. These systems are based on Intel quad-core Nehalems and Mellanox/Sun Microsystems interconnect technology. Together with our partners Bull and Sun, we managed to bring the system into operation within one month and to achieve a rank in the top 10 of the TOP500. This is, to a large extent, the success of the cluster management software ParaStation, which is produced by ParTec in Munich. HPCwire: And from a user perspective? What challenges have you faced bringing your user community along on some of the largest machines in the world? Lippert: As I said, I think we managed to take the users with us. Despite a very strict peer review of the projects, which is carried out by our independent, science-governed John von Neumann Institute for Computing, the available time on the highly-scalable Blue Gene systems was always substantially overbooked by a factor of 5 to 10. This shows that the Blue Gene proved to be an extremely attractive supercomputer for many scientific fields, ranging from materials sciences, theoretical chemistry, computational biology, and elementary particle physics to engineering. Initially, it took us half a year to get about 20 different application codes running on the system, while only those codes that could use more than 64 processors on a p690 qualified as eligible for the Blue Gene/L. Since then, the base of codes has been broadened considerably and the codes are optimized continuously. In order to achieve high performance, most kernel routines were improved by hand-coded assembler portions, or rely on highly-optimized libraries provided by IBM’s software magicians. In fact, achieving high performance on our Intel clusters means modifying the codes using SSE and sophisticated libraries as well. HPCwire: Have your users encountered new problems as they’ve run at the very large sizes that JUGENE enables? If so, have they been able to fix or change the codes themselves, or have they needed special assistance (perhaps from experts on your own staff or from IBM)? Lippert: The fundamentally new challenges on machines with more than 10,000 cores are that many of the traditional algorithms cannot be made scalable from a principle point of view, that some approaches inherently need an increased amount of memory per node with increased numbers of nodes, and that memory bandwidth per flop tends to lag behind performance. To meet these challenges, it will in general not be sufficient to simply introduce new algorithms for an application code and its parallel implementation. I believe that most of the codes will have to be restructured ab-initio, i.e., we have to use those models in engineering applications or computer formulations of fundamental theories that are unconditionally scalable. I even think that this will have an important impact on science itself. In order to adapt our support structures to this situation, at Jülich, we established simulation laboratories. While simulation labs are community-oriented, i.e., each simulation lab focuses on a specific community, they are structured in a strictly interdisciplinary manner, comprising mathematicians, computer scientists and technicians along with disciplinary scientists. Simulation labs are led by a disciplinary scientist, and representatives of the respective disciplines give guidance to its operation. This is our model to tackle the tremendous software challenges of the petaflops era and beyond. HPCwire: Your talk is actually about scientific breakthroughs on the system. Can you outline a few of those for us? Lippert: One of our major user groups, headed by Professor Dominik Marx from the University of Bochum, exploits the Jülich supercomputers to investigate how the simplest protein molecules could have originated more than four billion years ago — long before there was any life on Earth. High pressure, high temperatures, and sulphur-containing minerals may have played an important part in the origins of life. Marx and co-workers have been able to show by simulation for the first time, under conditions still found today at hot volcanic vents in the deep ocean, it would indeed have been possible for amino acids to combine to form protein chains — even without the biological tools normally required for cells to produce proteins. The scenario of the primeval iron and sulphur world was created virtually on Jülich’s Blue Gene supercomputer. Two simulated amino acids — simple glycine molecules — came into contact on the computer, proceeding from the electrons and atomic nuclei of the molecules involved. It was found that the higher the simulated pressure and the hotter the virtual water, the more easily a peptide bond was formed between two amino acids, the fundamental process in protein synthesis. It would be extremely difficult to perform such experiments in the laboratory in a controlled manner. More than 2,000 processors of the Blue Gene worked over four months to get to this result, running an ab-initio density functional code, which is very well suited for the highly scalable system. Heart disease is the number one killer in industrialized countries, a condition that is sometimes treated with a small implantable pump that can provide support for a weakened heart. Researchers around Professor Marek Behr from RWTH Aachen University have made use of JUGENE to optimize the flow inside such a pump. In order to provide sufficient support for the heart it must be able to pump several liters of blood through the body each minute. Moving this volume of blood through a small pump in such a short amount of time creates strong shearing forces and thus creates a danger that the impeller — a component inside the pump — may squash the delicate blood cells and platelets as it rotates 10,000 times a minute. Computational studies of the pump are necessary to understand its behavior and to improve the design to ensure that patients receive the therapeutic support they need. They computation is extremely complicated, however, and in order to distribute the calculations among the large number of processors on the JUGENE, the pump is divided up into small pieces and each processor is then responsible for one of these segments. Of course, after the calculation is complete all of the sub-solutions have to be put back together again in order to create a complete picture of the pump’s behavior. The exchange of data between the processors during the computation is significant. Thanks to our performance group, the simulation was scaled up from 800 to 8,000 processors and now runs roughly ten times as fast as it did before. As a final example I would like to quote one of the “scientific breakthroughs of the year 2008” as chosen by the journal Science: the computation of the masses of the hadrons in the theory of the strong interactions, quantum chromodynamics. After 25 years of continuous improvements of simulations of the theoretical elementary particle physics community working on the fastest computers worldwide, it was a German-Hungarian-French team led by Professor Zoltán Fodor that succeeded in demonstrating that quantum chromodynamics correctly describes the hadrons as composites of quarks and gluons. This is probably the first time ever that a fundamental theory was validated by computer, and it has been made possible through extensive improvements of the implementation of the simulation code on JUGENE, achieving nearly 40 percent of the peak performance and showing perfect strong scaling to 64,000 cores.